Until about ten years ago, I used to knit a lot but then I virtually gave it up. This was partly because my children became teenagers and decided they didn’t want home made clothes any more (Note to younger Mums – this is just a phase and once they become young adults they’ll be asking you to knit and sew for them again!) and partly because I became disheartened with the quality of yarn for sale locally, which was mostly 100% acrylic with a tendency to go horrible and bobbly after a few washes. And, although I’m lucky enough to have a very friendly sheep – the last of a small flock, getting the wool spun is ridiculously expensive and the knitted garments are itchy and very hard to care for. 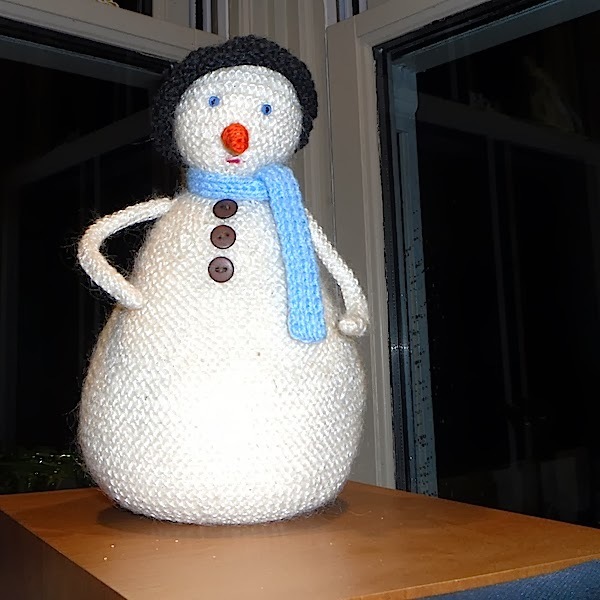 It does make quite good snowmen but you only need so many snowmen! So, I started saving the fleeces pending the day when I would have the time and knowledge to get the lanolin out of them and put them to some kind of use. That day has yet to come but, recently, inspired by my friend Nat from Made in Home a perusal of the wide variety of yarns that are now easily available online and some incredible knitted, crocheted and felted creations on pinterest, I am again finding myself entangled in a world of yarn and fibre. I considered starting another blog as a sort of Journal to record interesting discoveries and my makes. 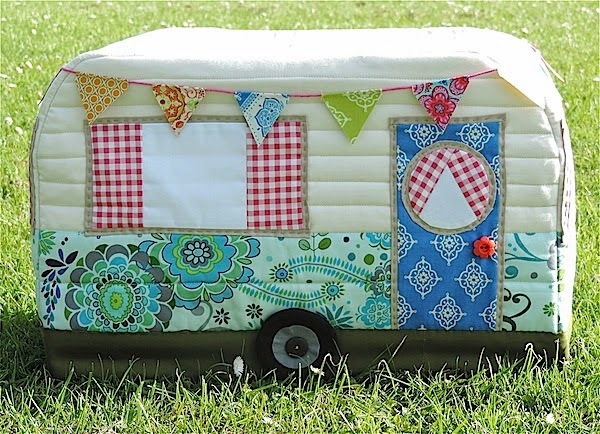 But I don’t think I’d manage to keep it going because of course I’m still wanting to sew and make quilts and I already struggle to find enough hours in the day. SO, Instead, I’ve decided to start WOOL ON SUNDAYS. 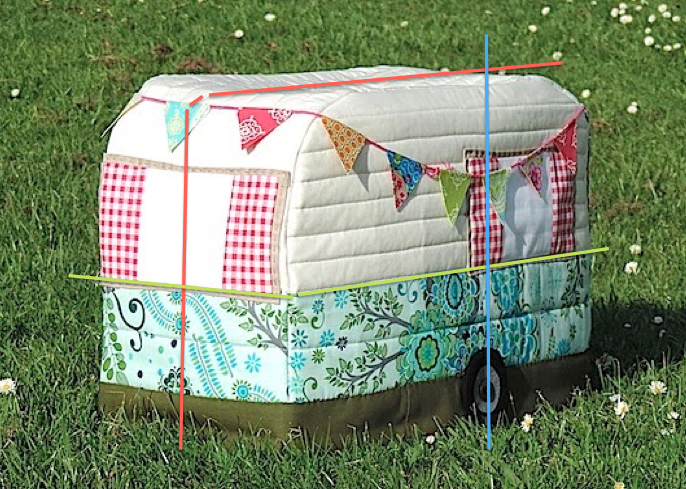 From Monday to Saturday each week Rainbow Hare will carry on unchanged with my usual mix of sewing quilting and random and I’ll save anything related to wool or yarn for Sundays – so if you’re a quilting friend who doesn’t like knitting you’ll know to skip my Sunday posts! anywhere about exactly how much it shrinks. 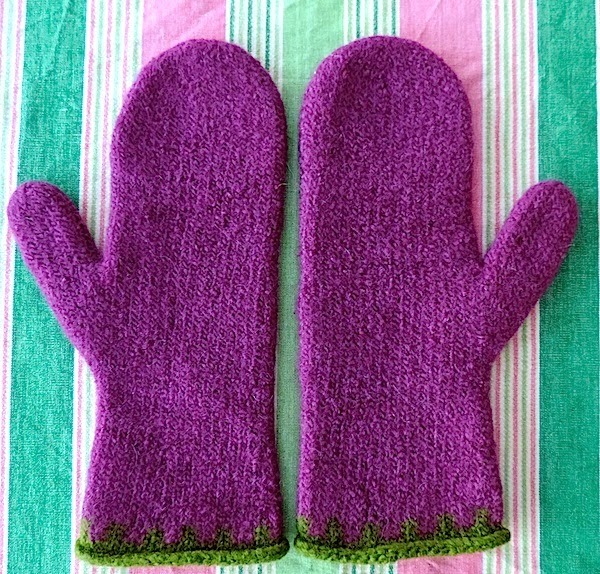 I did find an excellent blog post – A felting primer for hand knits (wet felting) – with a lot of helpful information in both the post and comments, though, and I eventually decided the best thing would be to buy a pattern and wash it on my machine’s shortest 40° cycle (30 minutes) and reserve judgement about whether to finish felting it by hand if it didn’t work out. So I bought this pattern from Black Sheep Wools and followed the ladies size for my first attempt to give myself a benchmark for future projects. I used Wash and Filz It Fine and knitted on 5mm needles. 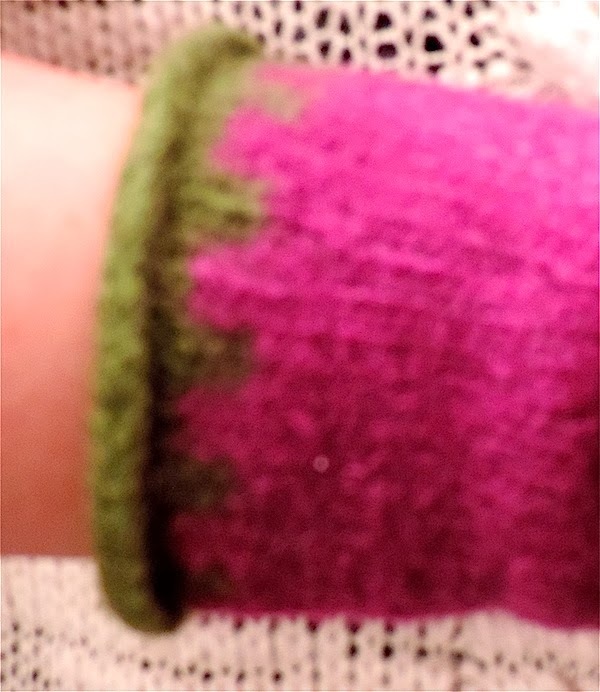 If you’re thinking these are looking a bit clunky, that’s because I had to go go three needles outside my comfort zone! I stuffed carrier bags into the thumbs and hands to stop them felting together and I found they shrunk by about a quarter in the first wash, rather than the third estimated by the pattern so I put them through again and they shrunk a little more. I also found they shrunk more widthways than lengthways but they had enough stretch whilst they were wet to adjust the size within an inch or so and overall no one could have been happier or more surprised than I was when they came out of the washing machine. I would have considered putting them through on a longer cycle to try to shrink them down a bit more but my daughter was staying and we wanted them to dry in time for her to take them home so we left it that if they get even bigger with wear she can put them in her washing machine and make sure to stretch them into shape whilst they’re wet. 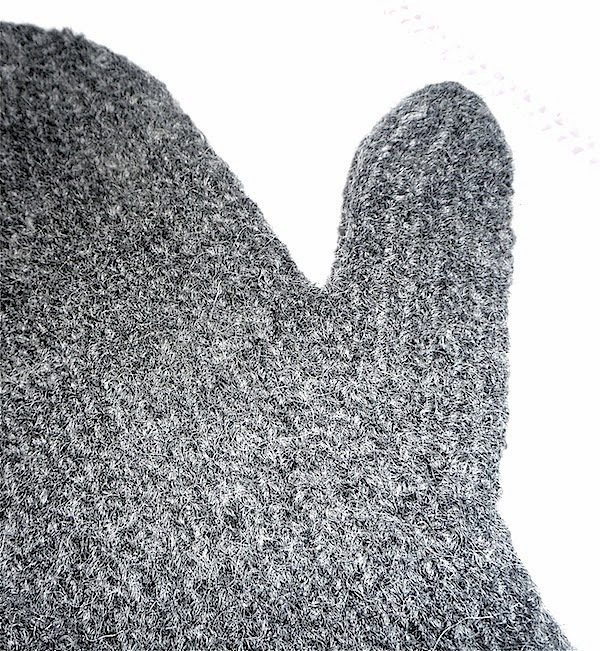 Your gloves are great, I think I'd be too nervous of ruining my work to felt it – well done! Totally missed that – doh! Glad I inspired you!! Will link up once I get started on my wooly Christmas presents! Well I can't knit, and can only just crochet in straight lines, but I'm loving looking at your felting! Well done for getting back to an old love! What a great idea Janine! I just started knitting again and it is so much fun getting back to the craft. Great idea, Janine! 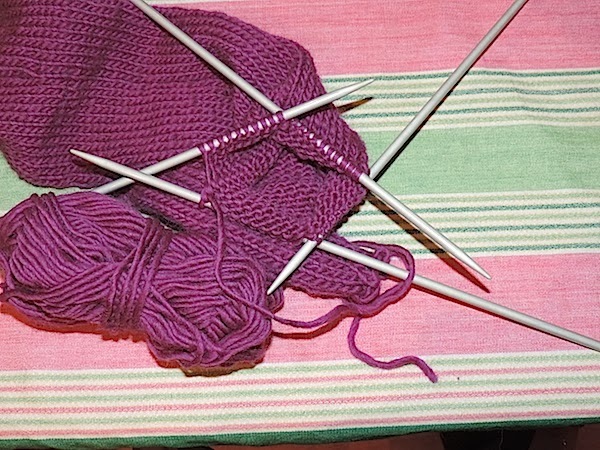 I love to knit, but I hardly ever blog about it. I am knitting my first sweater now. 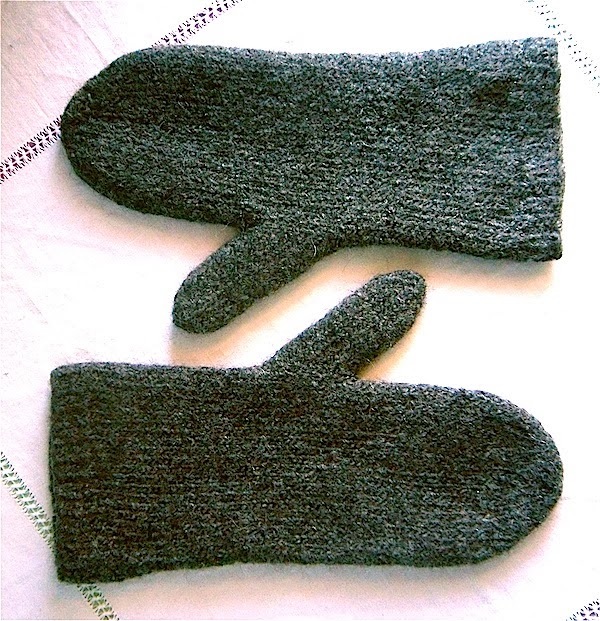 Love your mittens. Thank you for sharing your felting experience. May be one day I will give felting a try. Hi Janine a good idea! 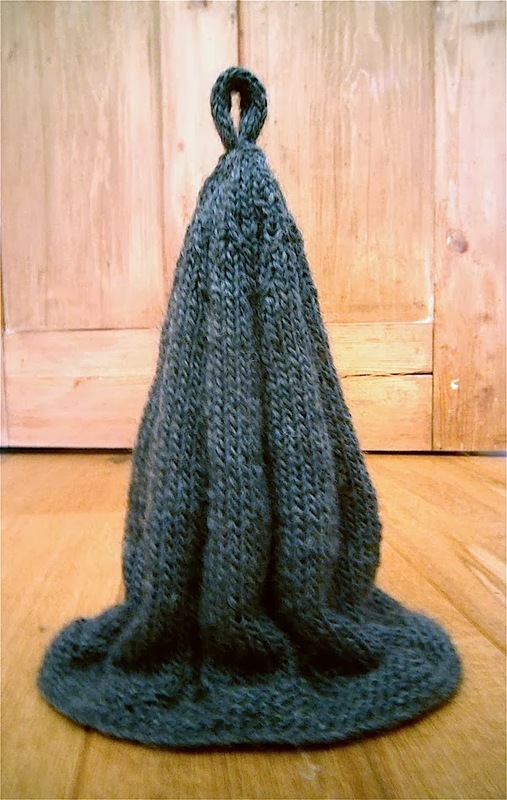 I am to start knitting items for Christmas. 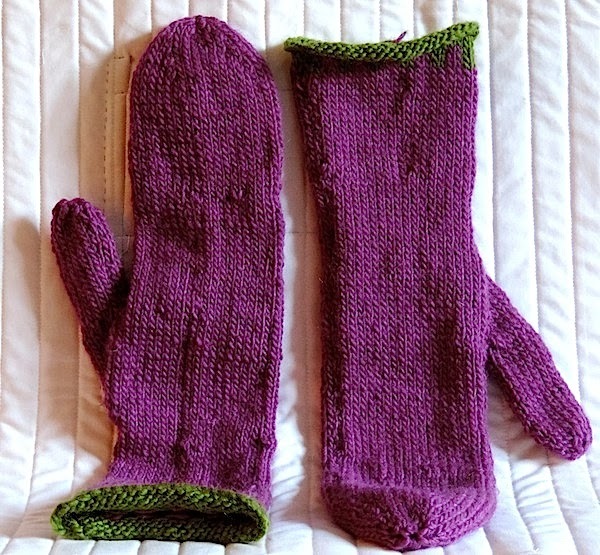 The mittens look gorgeous! Fabulous idea, Janine! I used to knit sweaters alot, but now, it's pretty much just socks! They sold that wool for felting in my local wool shop in Riga and I think I have a couple of pattern booklets for it, I will have to have a hunt to see if I can find them ! Your mittens look lovely and snuggly! I have never since such thing. I didn't know about felting it to make it warmer and windproof. Interesting. I made few felted balls(beads) today. I gave up on knitting since the yarn seems way to expensive and I prefer the new materials on market especially for small kids. Easy care. Love this Janine! I have some knitting projects in mind for the winter so will link up when I have progress. I used to make sweaters as a teen (had a friend who was an avid knitter) but since I picked up needles again I've been doing scarves and one pair of mittens that I promptly lost one of. I would love to try socks and I also have yarn for a crocheted poncho. 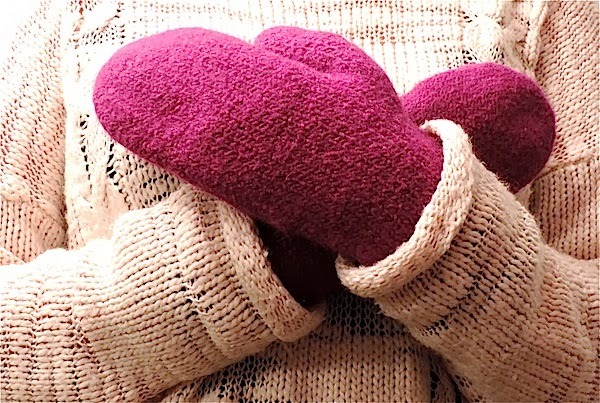 I love those mittens, such a good idea! I have never seen that yarn before! I don't think you should worry about what you post about, my blog has a bit of everything on it – crafty anyway. I'm sure I can find a blog post to link up! Have you tried spinning yourself? I learnt on a drop spindle and it's very therapeutic. Wool on Sundays is a great idea! My blog started as a knitting and crochet diary, but slowly the fabrics and quilting addiction over took!! Great knitting and felting! I've only accidentally felted a few of my husbands jumpers!! And he was not pleased nor was he amused!